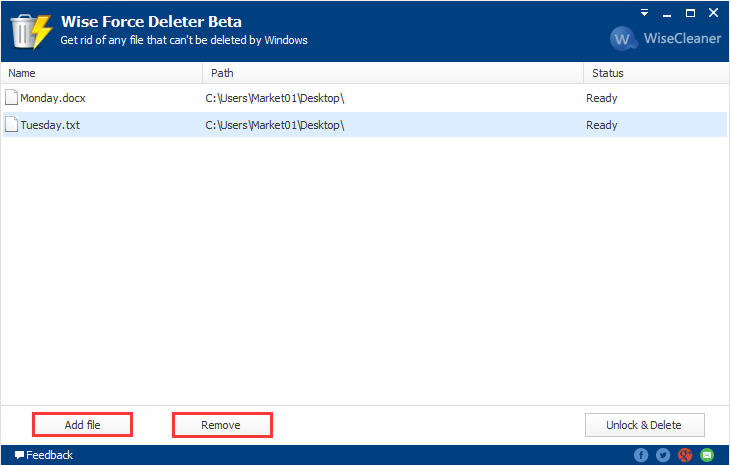 Wise Force Deleter can help you forcedly and permanently get rid of any file that can’t be deleted by Windows. What’s more, it is an easy-to-use tool for Windows’ users and totally free! Notice! Before deleting any file you must be sure that this file is not needed from Windows system or installed applications. Step 1: Please download the program and install it on your computer. When launching this program, first to notice its user-friendly interface. Step 2: You can add file which you want to delete of course it also supports dragging and dropping it directly. If you change your mind to remain it, please select the file and choose “Remove”. Step 3: Choose the file you want to delete and click “Unlock & Delete” at the bottom right. 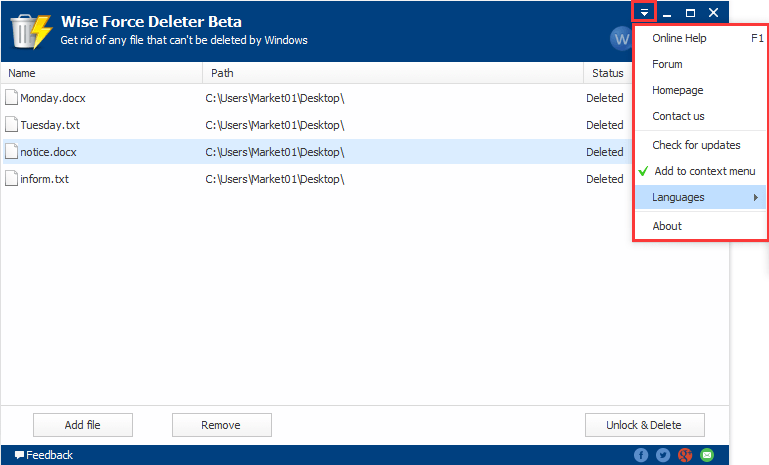 And then you need to confirm whether to delete it in the pop-up window. Step 4: After that choose “Yes”, in success operation information box. All added files will be deleted completely and they can’t be found in your recycle bin. In addition, please be noticed that the status of the file becomes “Deleted”. 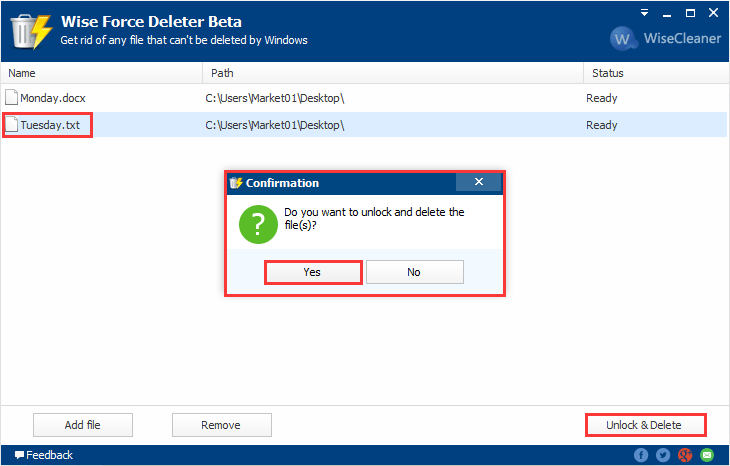 Step 5: From here you will find more information about Wise Force Deleter like current version, and if you encounter any issue when using this utility, please contact our support team. 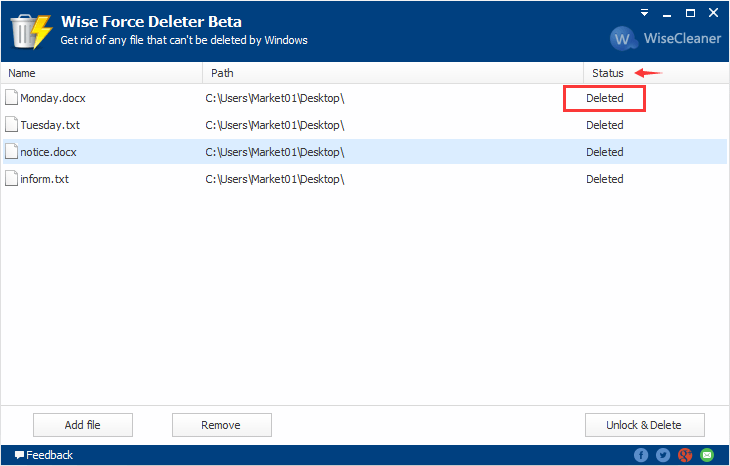 Could Wise Force Deleter delete a folder besides a file? There are too many files in the folder, do I need to add them one by one? 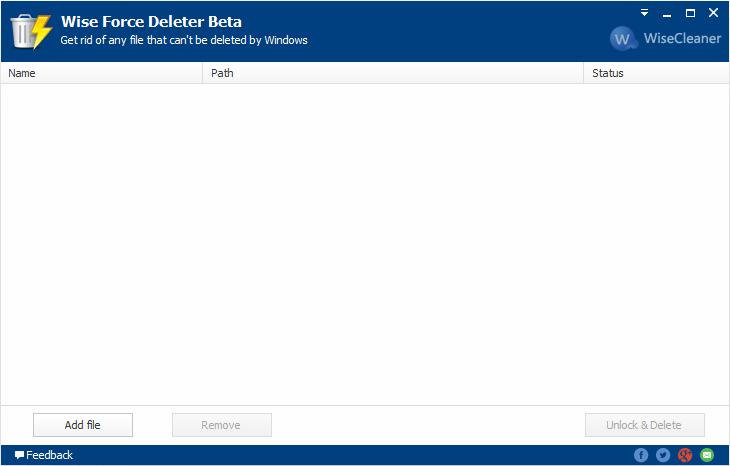 I have added some files in Wise Force Deleter, can I only unlock and delete one of them?